The Windows 10 Fall Creators Update is set to begin its rollout in a matter of weeks, yet over a quarter (27.5 percent) of Windows 10 users still haven’t received the Creators Update. According to the latest figures from AdDuplex, while the Creators Update found its way on to another 7.5 percent of computers this month to give it a 72.5 percent share, it’s still well short of the 91.2 percent that the Anniversary Update reached before the Creators Update was released. AdDuplex warns that as a result of slow rollouts like this, fragmentation will only increase in the future. According to AdDuplex’s figures, 23.2 percent of Windows 10 users are still running the Anniversary Update (1607), 2.7 percent are running the November Update (1511) and 0.8 percent are still on the original Windows 10 release (1507). 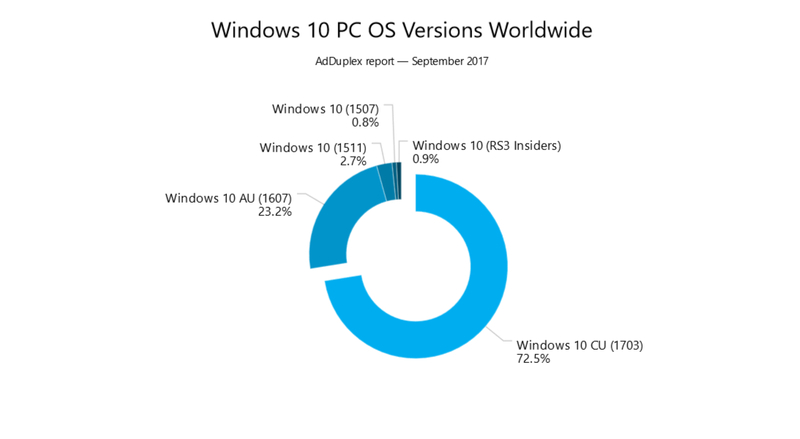 AdDuplex breaks down the Creators Update installs by country, which shows that in the United States, 77.6 percent of Windows 10 users have the latest feature update, compared with 77.1 percent in Canada, 73.9 percent in the UK, 78.7 percent in Germany, 64.4 percent in Russia, and 68.8 in Australia. A week ago, Microsoft proudly announced that the Creators Update is much more reliable than the Anniversary Update, with a "39 percent total reduction in operating system and driver stability issues" and the number of support calls diminishing "significantly." 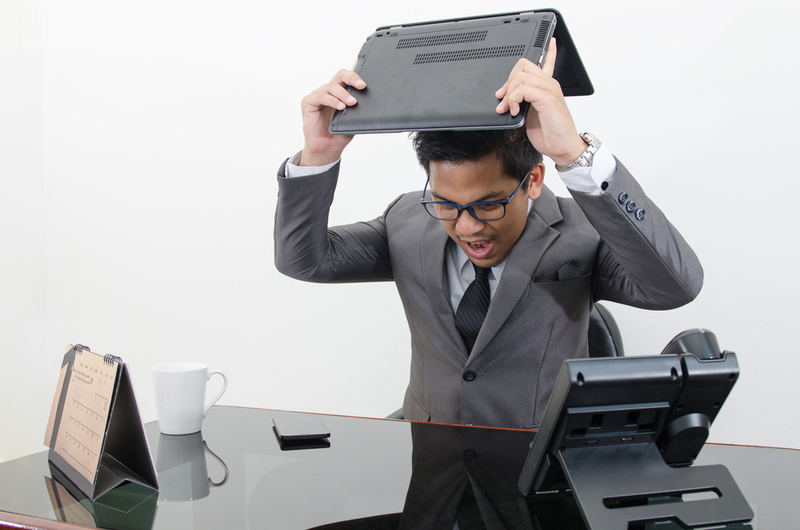 But as I pointed out at the time, a large portion of that improvement can be attributed to the fact that many Windows 10 users simply don't have it.